Fitness research has shown that proper warm-up technique does not start with stretching. This goes against traditional thinking. Stretching is the same as activating or using a muscle. Just as in lifting a dumbbell, when stretching a muscle group the muscles must expand and then contracts to complete the task. Imagine walking into the gym and curling a 60 lb. dumbbell without warming-up. The correct technique is to warm up slowly before stretching. This could include a slow jog, but more realistically for the golfer, simply striking a few short shots with an easy swing. The best way is to make short 20-30 yard pitch shorts then slowly working into ¾ pitch shots. After a few minutes, begin stretching out the muscles focusing on the major muscle groups for golf. Some important golf muscles groups: back, shoulders, forearms and wrist, leg and hamstrings. Remember to never “bounce” when stretching, but to hold the position for a few seconds and return to the relaxed position. As golf is an athletic game, learning correct warm-up techniques will help your clients have a more enjoyable golfing experience. 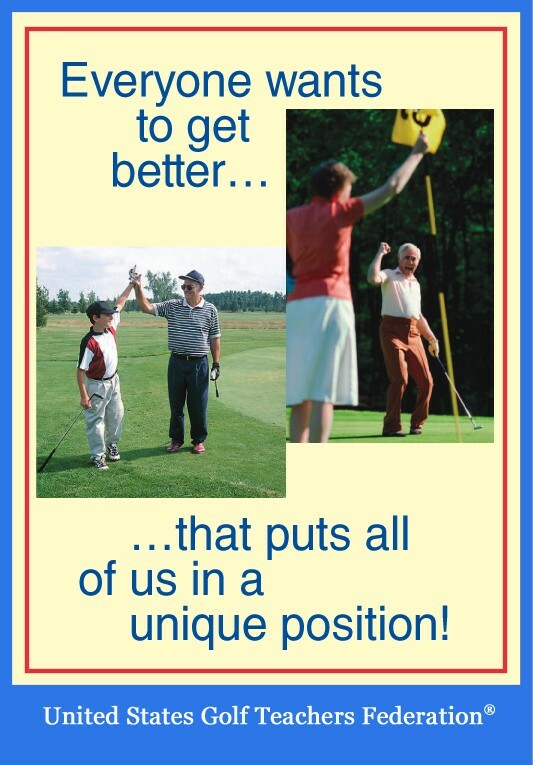 It also decreases the risk of injury, therefore promoting continued lessons requested from the client.